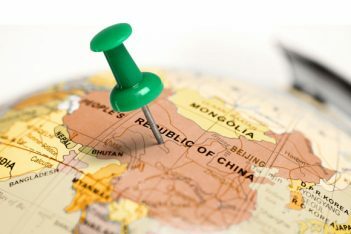 Home | Global Trade | China Reports Slowing Growth, but by How Much? The New York Times reports this week that China’s economy continues to gently slow its pace of growth. For the last three months of 2018, growth came in at 6.4% compared with a year earlier, the paper said, its slowest pace since a decade ago. For the full year, the Chinese economy grew at 6.6% — its weakest pace of growth since 1990, but still stellar compared to Europe or the U.S.
China is, after all, a maturing economy and has appeared to be on a managed deceleration for years. Not since the debt-fueled, post-financial-crisis boom in 2010, when it peaked at over 12%, has growth been in double digits. But some are wondering whether we should we be questioning the numbers themselves. China’s official statistics have always been treated with some skepticism. Whether they are GDP figures or atmospheric pollution numbers, they frequently get amended after they have been released. Accuracy is not necessarily a case of official deception as it is probably a reflection of the complexity of measuring such a massive economy with limited data points. The New York Times cites various sources that suggest China’s economy slowed markedly in the second half of the year. Retail sales slowed, weighted by a steep tumble in activity at China’s car dealerships and broad weakness in smartphone sales, the paper said. Investment in fixed assets, like new factories and office buildings, was almost non-existent. Auto sales appear to be a major factor in the slowdown. The New York Times reports auto sales have been falling since the summer, with sales in December down 19% from a year earlier. The slowdown has not been helped by a modest tax break for car buyers in 2016 that reduced in 2017 and then disappeared last year, pulling forward sales. As a result, car plants across the country have seen layoffs and both foreign and domestic car makers have reported sharply lower sales. The GDP spike in 2010 was in part down to the housing market, but debt levels and oversupply make the possibility Beijing will turn to the housing market for growth slim. Nor is the ongoing trade war with the U.S. helping matters. This week’s rejection of an offer by two Chinese vice ministers to travel to the U.S. for preparatory trade talks highlights how far the two sides remain apart. The proposed visit was canceled by the U.S. side because of a lack of progress on key issues, according to the Financial Times. It is difficult to quantify the impact the trade dispute is having on the Chinese economy, but it is probably widespread, impacting confidence, consumer appetite and investment. In an interview with CNBC, Christine Lagarde, managing director of the International Monetary Fund, downgraded global growth expectations for 2019 due in large part to factors around the Chinese economy. If Beijing’s growth numbers are being overstated, we all have a problem. Such is China’s size and importance now in the global economy that if the country sneezes, we all catch a cold.